Last fall, it was reported that Marvel Television was working with Wonder Woman screenwriter Allan Heinberg on a new ABC series headlined by various Marvel heroines. Unfortunately, the network seems to have backed away from that premise. According to Deadline, ABC has decided not to order a pilot episode for the series. Deadline specifies that it’s not clear whether the project has been scrapped or if the producers are retooling the story. Apparently, the show was given a “big pilot production commitment.” This suggests that ABC might have paid a kill fee to Marvel Television for passing on the series. Marvel TV head and famed comic book writer Jeph Loeb was executive producing the venture alongside Heinberg. Very few details about the project have been revealed. Allegedly, it would have featured “lesser-known” Marvel heroines. Heinberg, a veteran of Scandal and Grey’s Anatomy, was developing the show as part of his overall deal with the network. This wasn’t the writer’s first flirtation with the Marvel Universe. In late 2017, he was also reportedly working on a Multiple Man film with James Franco playing the title role. Although ABC has produced other Marvel series, Agents of S.H.I.E.L.D. is easily the network’s only real success with a Marvel property. ABC also had an Agent Carter series featuring Hayley Atwell reprising her role from Captain America: The First Avenger. That show lasted two seasons before its cancellation in 2016. Inhumans fared even worse with a poorly received 8-episode season that aired in 2017. Despite the demise of its companion series, Agents of S.H.I.E.L.D. will be on the air for at least seven seasons. 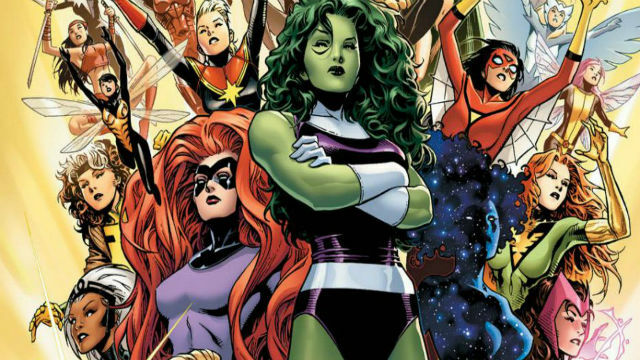 How do you feel about ABC’s decision to pass on this female-centric Marvel series? What characters would you have liked to see on the show? Share your thoughts in the comment section below!